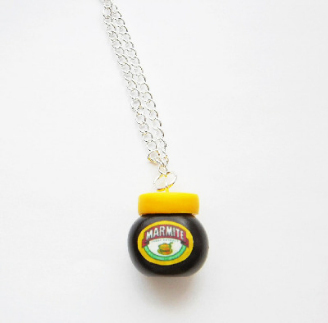 Quirky fun Marmite Jar Food Pendant Necklace. This item is sent out within 1-2 working days except on weekends. Most items are dispatch within 2-3 working days by the delivery method of your choice.